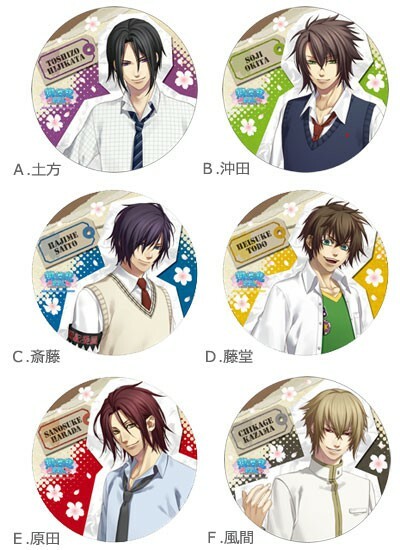 Hakuouki Sweet School Life and Second Movie Collectibles!!! 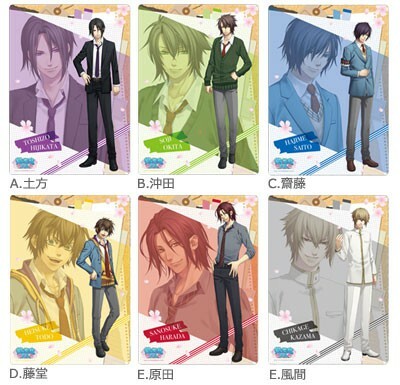 Finally some collectibles are coming out for the Hakuouki Sweet School Life game!!! They will be released at the end of April, so I would receive sometime in late May. These can be purchased individually, so you can reserve as many as you like of each character. Likewise there are some collectibles from the new movie!!! Take a look and comment if you want to order something. I will put your requests down in the order they are received, but since Hakuouki things sell out pretty quickly, it's first come first served as always. If they start selling out, I'm going to close this preorder right away and let you know which I'm able to get at that time. If you reserve an item, please understand that this is a binding agreement to buy, because once I order, I cannot cancel. So please be serious if you're going to reserve. Here we go!! the straps are so cute... but .. .must refrain. LOL. if you get 3 characters claimed maybe i'll pick up someone to help fill the set. i'll check back or shoot me a message if that happens. Sure thing~ I'll put you down for Heisuke and Sano-san~ And most certainly, will let me know if I get any claims on the straps! Those pencil boards!! OMG they're so cute!! If it isn't too much to ask for Kazama and Okita for me? Most certainly, I'll let you know when I'm able to buy them!! Gaah~ Everything is so cute! I'm having trouble deciding! Hehehe Heisuke sure is popular! He's got three requests already~ Alright, I'll put you down for those guys and will let you know when I have successfully order them! ah well, the hood/blazer thing here has been in some other anime, but yes it's generally breaking the rules, haha. I also just mean that kind of thing in general, like a winter coat over a hoodie. I can't imagine seeing ikemen with ties everyday... no wait... sometimes I see the new head boss at work and my coworker calls him 'tall dark and handsome' LOL. 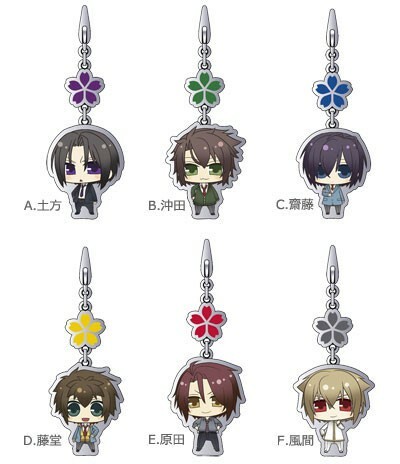 Heya, I've already made the preorder for these Hakuouki collectibles a couple weeks ago. If you still want them though, I can make another preorder now, but you will have to pay separate domestic shipping for this second order. Are you willing to pay $5 for separate domestic shipping? There's also an increase in consumption tax starting April 1st... I'd like to increase the price of the Big Metal Plate to $45. Is that acceptable? I will not increase the accessories pricing. Let me know!